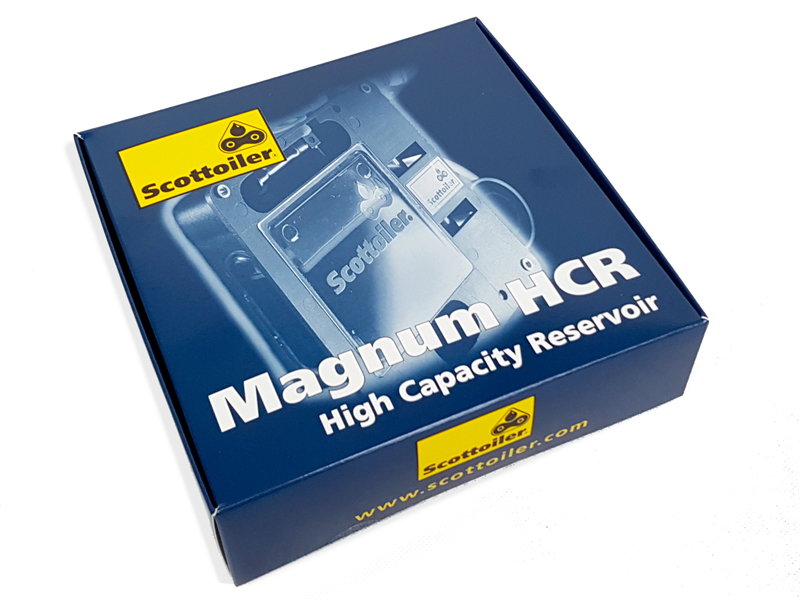 The Magnum HCR is an additional reservoir which mounts on the back of the bike behind the number plate, increasing the range of your Scottoiler kit by up to 8 times. 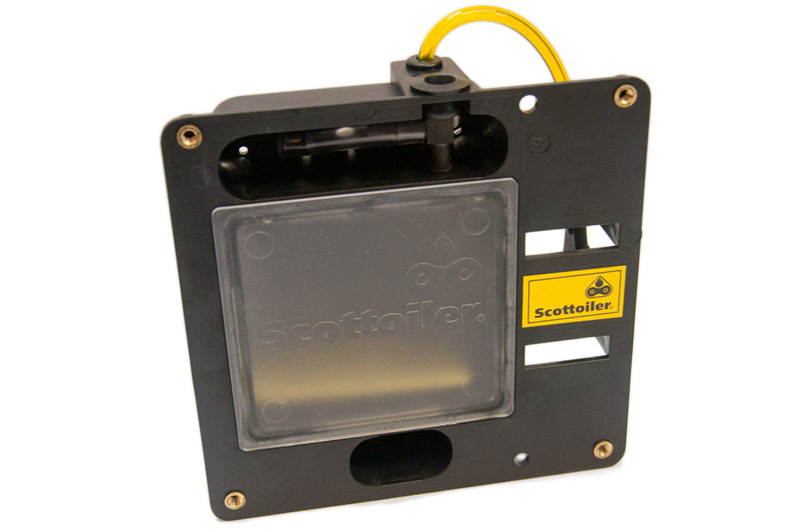 This addition to your Scottoiler Kit increases oil capacity from 50ml (1.76 fl oz.) to 400ml (14.08fl oz. 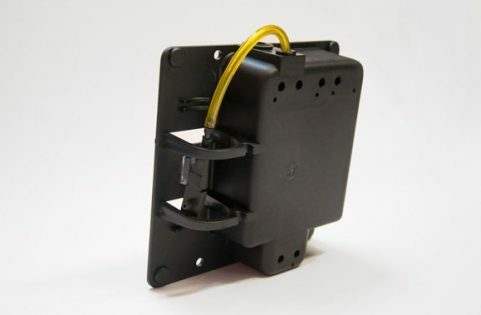 ), and will give you up to an additional 10.000 miles between refills (depending on your flow rate setting). 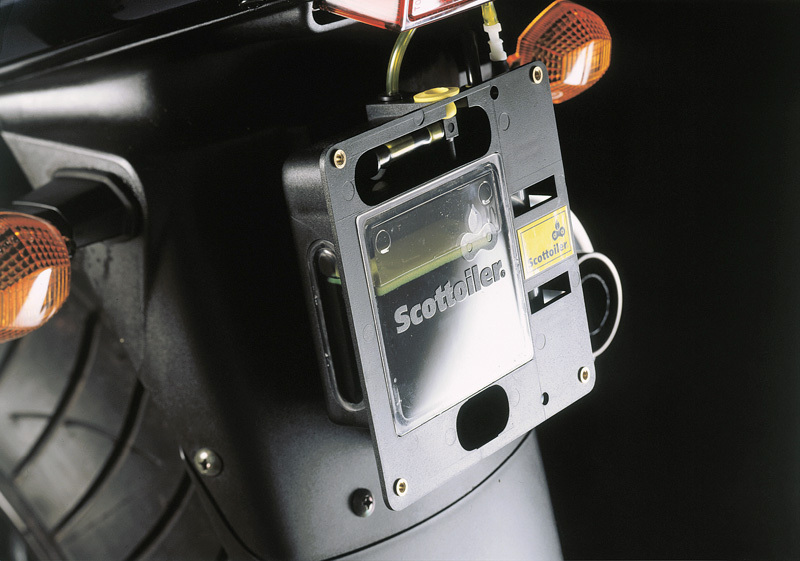 This is an ideal addition for any biker who will be travelling long distances, or for any biker who wants to minimise the number of times they have to refill the system. 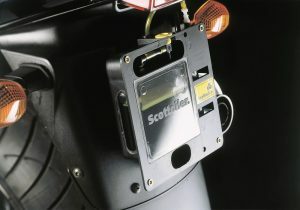 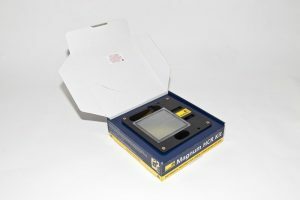 To fit the Magnum, simply remove the number plate and mount the unit with the parts supplied. 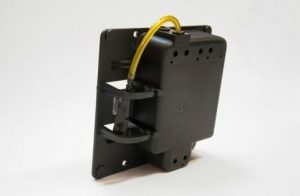 To connect up the reservoirs simply attach the Magnum to the breather on the operating reservoir and slot them together. The main reservoir should draw the oil through from the Magnum by siphoning, allowing you to ride further and for longer between refills. The Magnum HCR is not compatible with all bikes. 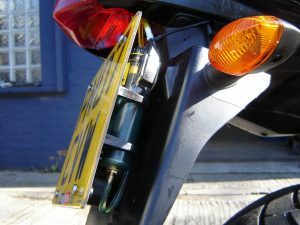 Your mudguard needs to be strong enough to hold the extra weight and you need to make sure that extending the number plate out will not result in a number plate lighting issue. Please check the Bike Specific Installation Guides to ensure this product is suitable for your bike and to see if any additional brackets are required for your bike.